FREE Luxury Eye Mask when you spend £55. 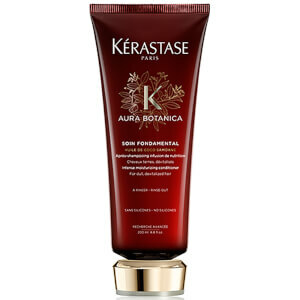 Save up to 30% + receive a FREE full sized Kérastase Aura Botanica Soin Fondamental Conditioner when you spend £70. Discount has been applied to the RRP. Complimentary gift will be awarded at the basket. Offer valid for a limited time only, while stocks last. 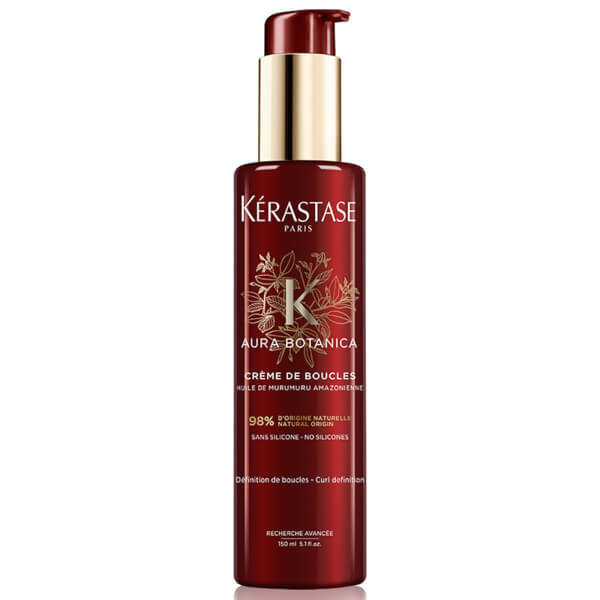 Redefine your curls with Kérastase Aura Botanica Crème de Boucles, a hair cream specially formulated for dull, dehydrated locks. The nourishing formula is enriched with Mexican Aloe Vera Extract and rich Amazonian Murumuru Butter, which intensely conditions each strand for a super-soft and smooth texture. Curls are separated, defined and contoured, frizz is tamed for up to 72 hours and locks are protected against the damage caused by heat styling. 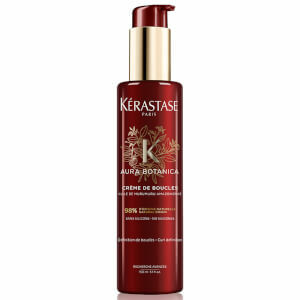 Apply on wet or towel-dried hair. Take 2 to 4 pumps, depending on the length and thickness of the hair. Spread over the lengths and ends. Proceed to blowdry. Aqua / Water, Glyceryl Stearate Se, Glycerin, Cetyl Esters, Algin, Xanthan Gum, Cetyl Alcohol, Butyrospermum Parkii Butter / Shea Butter, Decyl Glucoside, Caprylyl Glycol, Citric Acid, Linalool, Aloe Barbadensis Leaf Juice Powder, Pentylene Glycol, Astrocaryum Murumuru Seed Butter, Citronellol, Limonene, Hydroxycitronellal, Hexyl Cinnamal, Citral, Tocopherol, Parfum / Fragrance.